We’re usually all about San Francisco and Silicon Valley in these Spark Talks podcasts but this time we’re putting the spotlight on Los Angeles, an exploding tech hub with tons of startups getting founded and big companies moving in. Antonio Hicks, Senior Account Manager, who works on a lot of LA-based accounts and Rachel Kahn, Director at Spark in LA, explain why the Los Angeles tech hub is getting attention now and predict how LA will compare to Silicon Valley and New York in the future. Join in on the conversation by tweeting us at @sparkpr. What Snapchat maker’s IPO means for the LA tech scene – Paresh Dave, Los Angeles Times. As Senior Account Manager in Spark’s Technology Practice Group, Antonio Hicks works with Silicon Valley startups ranging from B2C, B2B, corporate communications, and emerging tech. His 10 + years of in-house and agency experience in public relations, brand marketing, and media strategy spans multiple verticals including: technology, consumer lifestyle, health & wellness, aviation, and ecommerce. 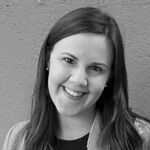 Rachel Kahn drives high-impact communications programs for emerging market leaders as Director at Spark. She determines long and short-term strategic plans, ensuring communications strategies and tactics map to business goals, for clients like Walmart Global eCommerce, One Medical Group, SERVIZ, Bizo, Swrve, HubSpot, Spredfast, EatWith, Payvment, Topsy, BlueKai, Wildfire, Specific Media and others.